Arnold Lawrence Adams passed away March 17, 2019, in Sulphur Springs. He was born April 28, 1927, in Bellows Falls, Vermont. His parents were Benjamin Moses Adams and Lillian Martha Wilcox. He was the youngest child of a family of 7 sons and daughters (Frank, Bernard, Wally, Evelyn, Madeline, and Virginia) all of whom have preceded him in death as well as his parents. This tour of duty was followed by an assignment to Ft. Benning, Georgia. When the Vietnam War escalated and the First Cavalry Division was activated, Arnold did his first tour of duty in Vietnam. 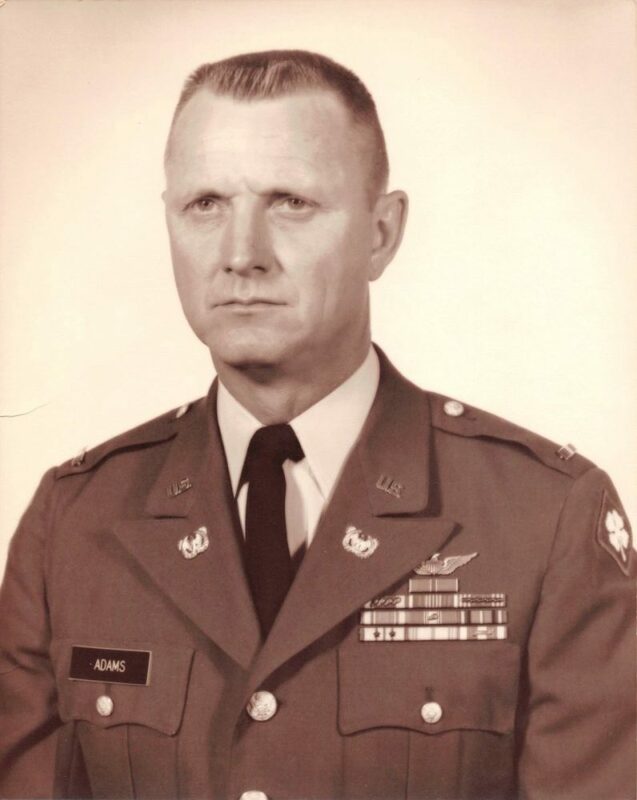 Upon returning home, Arnold was asked to join the White House Executive Flight Detachment and had the extreme honor of working and flying during the terms of Presidents Johnson, Nixon and Ford. Another tour of duty in Vietnam and again returning to the White House Executive Detachment ended Arnold’s Military career of 31 years during which he earned the following decorations, medals, badges, commendations and campaign ribbons. The Distinguished Flying Cross, Bronze Star Medal with 2 oak leaf clusters, Air Medal with 24 oak leaf clusters, Good Conduct medal, Master Army Aviation Badge, World War II Victory Medal, National Defense Service medal with 1 oak leaf, Vietnam campaign Medal, Vietnam Service Medal, Armed Services Medal, Armed Forces Expeditionary Medal Dominican Republic, Vietnam Cross of Gallantry with Palm, Presidential Unit Emblem, Meritorious Unit Emblem, Presidential Service Badge, Army Commendation Medal with 2 oak clusters. No formal services are planned but friends of the family are invited to call on the family at 225 Jill Lane in Sulphur Springs on Saturday, March 30 between 1 and 4.